Avoid coming to the Court... pay online, not in line! ePayment is available for the following Courts and violations listed below. 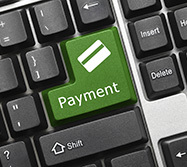 Pay your fines to the Court of Common Pleas online with a credit card. You must have your case number, which can be found on any Court of Common Pleas correspondence. To pay your fine online, please visit: https://pubsrv.deljis.delaware.gov/ePayment/. Pay traffic violations online to the Justice of the Peace Court. Payment may be made by credit card or electronic check. You must have either a ticket number or case number and the last name of the defendant. Please visit the Justice of the Peace Court voluntary assessment page for other payment options.